Poet, sculptor, painter, recluse and author, Smith was one of the "Big Three of Weird Tales", alongside Robert E. Howard and H.P. Lovecraft. A member of the Lovecraft Circle, and friend of HPL, Smith's writing moved beyond the Cthulhu Mythos, creating a mythos all his own. From alien worlds to forgotten realms of our world's shadowy past, he wove tales from an "otherness" so personal, so powerful, they read more like witness statements than wild imaginings. 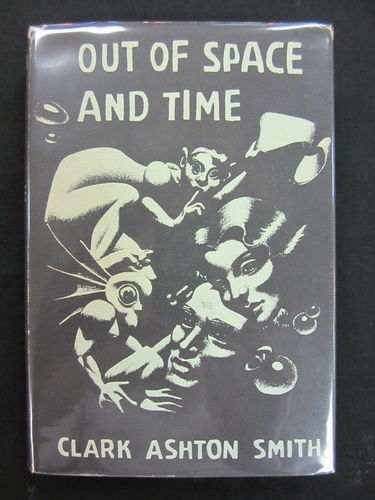 Spanning fantasy to science fiction, with a healthy dollop of horror at the center of it all, written in a voice that is unique in literature, casually creating visual vistas of worlds unknown, and "a style so purple it sloshes over into the ultraviolet" ( Harlan Ellison ). Largely forgotten today, Smith's work never really underwent the "rebirth" that Lovecraft's did. And while his former mentor and friend is now having his legacy torn to pieces by the bookburners of the New World Order, including a movement to strip his visage from the World Fantasy Award, Clark Ashton Smith quietly waits to be remembered.....and perhaps take the place of the Dark Dreamer of Providence until sanity is restored and they can both share the limelight they so richly deserve. 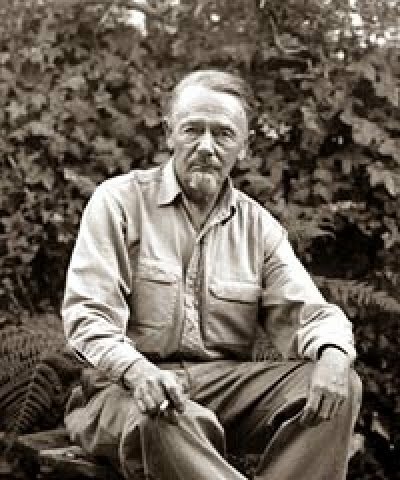 Trivia Tidbits: Clark Ashton Smith's wrote in excess of 100 short stories....most of which were written in less than a decade ( 1929 - 1938). 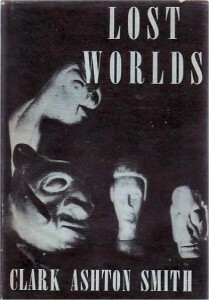 The Arkham House edition of Lost Worlds ( pictured above) features a jacket photograph of four of Smith's sculptures.